We thought our son would "grow out" of his bad sleeping habits. He was over 2.5 yrs and we couldn't do it anymore, and with a new baby we had to get help because what we were doing was obviously not working. After 3 weeks of training, he sleeps in his own room, and sleeps for the whole night. Thank goodness! We have our sanity back! Erin really know what she is doing. In the beginning I was worried about committing to a plan and sticking to it. But Oh my god... We Removed the swing, swaddle, soother. Paisley's going to sleep on her own without any of these props. I loved Your flexibility when things didn't work out as planned. Your determination to continue to try to get Paisley to sleep helped push me to commit to the plan and implement it when she and I were finally ready. I Would you recommend To The Moon and Back Sleep Consulting’s services to any of my mom friends who need more sleep! The most important thing people should know about working with Erin is that she is kind, caring, and determined to help. Our 4.5-year-old daughter has been going to sleep earlier and staying asleep longer (through the night). If she wakes up overnight she is not disturbing us but getting back to sleep on her own. We have all been getting more sleep and her behavior has improved generally, with fewer tantrums. Erin was very easy to talk to about difficult topics. It never felt like she was judging our parenting but just being supportive so we could succeed. Improving our sleep has improved our parenting and stress levels as well. Erin has a great program that sets children and adults up to succeed. Erin is warm and a mom herself so she gets what people are going through, trying to do their best for their children and families. I was hesitant about engaging a sleep counselor for my daughter because her behavior is very strong-willed and I didn't want to induce more battles. But with Erin, we set up many positive reinforcements and we ended up not having to use negative tactics with her. She has developed better sleep patterns as a result of our investment. She is starting school in the fall and I feel more confident that she will have the rest she needs to succeed and we have the sanity we need to parent her! Our little one has learned how to fall asleep on her own! Something I honestly didn't think would be possible. What an amazing gift- not only to us as tired parents, but to our daughter who has mastered the skill of sleeping. Erin was beyond patient with us. She took the time to answer all of our questions and made us feel safe working with her. Erin went above and beyond to help our family and we are forever great full for teaching us the skills to help our little one get the sleep she (and we) needed. To any parent out there who is on the fence of whether to hire a sleep consultant, I can honestly say it was the best investment our family made. "I'm a single parent with a little girl that would take 20-40 min naps if I was lucky and wake 4-5 times in the night. It was getting really hard on both of us. Then I found Erin, and she changed our lives. We are both way more rested now, and my daughter is taking 1.15-2 hour naps and sleeping through the night roughly 11-12 hours. Erin is down to earth. There was no high expectation that I would have her in the crib every time I was supposed to. Erin answered all my questions truthfully there is no sugar coating, and she explained the whys really well. This takes time, problems are not fixed in one night and its a rollercoaster, but Erin is extremely supportive. This has been a challenging but amazing experience, and I feel we now both have the skills to get through any sleep challenges that come our way. I feel like a whole new parent being rested and being able to be more active with my daughter during the day." "Our little guy really didn't like to sleep at all on his own, even since birth, I put it down to him liking his comfort and because he was going to be our last baby we really didn't mind in the beginning. Fast forward a year from then and he was still sleeping with us, even though we had tried to put him into a routine, changed the mattress to something softer,, gave him water during the night, night lights you name it we did it and always ended with him coming to our bed and falling as sleep instantly. He was waking up from 4-5 time per night when we decided that we needed help. We chose Erin because of the reviews and are very happy we did so. Our little guy now sleep all night, I literally just put him to bed after stories and he puts himself to bed and that's it for the whole night!! 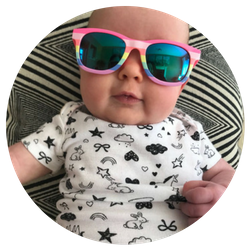 Its amazing we couldn't be happier, we just wished we had done it sooner :)"
When my husband and I welcomed our second child home from the hospital, we were definitely naive to the fact that coping with a newborn and 1 ½ year old would be tough! Even more naive were we to think that our newborn would ‘go with the flow’ and we could carry on our routine as usual. Fast forward 8 weeks and we were in a state of chaos and desperation. I was sleeping in the basement with our newborn so the rest of the household wouldn’t hear her screaming. However, neither of us was actually sleeping. Instead, we were trying every trick in the book to shush, rock, sway, bounce, and sing our little one to sleep. Once I managed to finally put her down, I’d pray to whoever was listening that she wouldn’t wake as I ninja snuck out of the room. When those tactics didn’t work, my husband or I would pack her up in the car seat and drive endless hours (at all times of the day and night) as she would at least sleep in the car. We found our baby would go 8 hours or more without sleeping and then would scream and fight every attempt we’d make to put her down. We were both utterly exhausted and I was in tears the majority of the day. Throw in a frustrated toddler and you have a recipe for disaster. This is when I called Erin (who my sister recommended), albeit skeptical that she could help us, I was willing to give it a try. will never forget our first phone call/consult. Erin was so patient as I babbled on about our situation and she really provided me with a sense of comfort and hope. Unfortunately our situation was made more difficult by having a tongue tied baby and she worked with us as we implemented our sleep plan slowly in collaboration with baby’s tongue tie surgery. 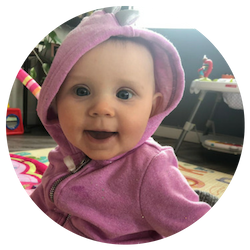 What I came to learn through Erin’s help was that our baby was severely over tired and in fact couldn’t ‘go with the flow’ as we presumed. That, coupled with her inability to effectively eat, was a huge challenge. Fortunately, Erin’s sleep plan was very supportive and easy to follow. While it definitely involved a change in the way we approached our daily routine, we now have a 4 month old who I put down for naps fully awake, who naps 2+ hours 3 times a day and 9-10 hours straight at night. She has learned to self soothe and doesn’t rely on any ‘props’ to fall asleep. Erin’s support throughout the process was instrumental in making me feel confident that I could stick to her recommendations and her follow-up was thorough and easy to understand. ​Our home is finally a happy place now!!" 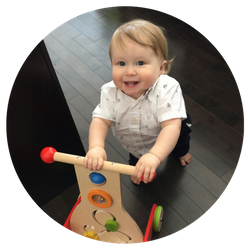 "When my wife and I reached out looking for help with our son Lochlin , we were both at our wits ends with him and the battle to go to bed and sleep every night. 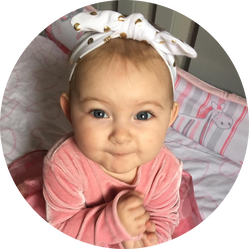 Both of us dreaded the night time routine that we had fallen into , the screaming and yelling and fighting had drained both of us down and made night time a not enjoyable time in our house. When we did reach out to Erin we were both a loss as how to deal with Lochlin. Not only was his temper out of control but ours was beginning to get out of control as well due to the lack of sleep going on in the house. Erin made both of feel like we hadn't failed at being parents cause our child didn't sleep, but that we had done nothing wrong and we should be proud of the fact that we were asking for help. Thought the whole process Erin continued to not only make sure Lochlin was thriving with his new found sleep, but that we were also thriving and feeling better with more sleep. 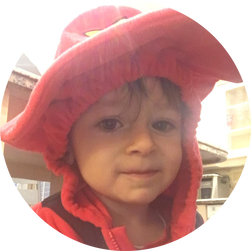 With in the 3 weeks of the program Lochlin's attitude and temperament changed for the better and he is now easy to put to bed not only for us but for anyone from uncles and aunts to our babysitter. ​We can't thank Erin enough for bringing peace and restful night to our home!!!!!" 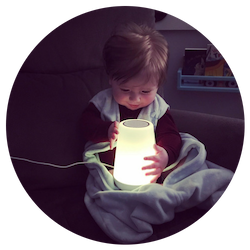 "This is the real deal and it is actually possible to have your little one sleep through the night. We were a little skeptical at first but just after the first night, our little one was sleeping through the night! Our baby is so much calmer and happier which we didn't think was possible as she was so happy before. Consistency is key and knowing you are doing this to better your little ones sleeping gives you the motivation to keep going. ​Without the help and knowledge from Erin, we would not have been able to do this. She is truly great at what she does and I would recommend her to anyone that is having any sleep issues. Sometimes no matter how hard you try, you can't wrap your head around what to do and having someone for support and to lean on who is an outsider, is so helpful. Especially since Erin has been through this with her own kids! Don't wait until you hit rock bottom and are so sleep deprived you can't think straight before you start making changes, you owe it to yourself and your little one. It is so worth it! Thank you Erin, we could not have done it without you." I wasn't sure if spending the money was going to be worth it. Now I can say with confidence it WAS worth it! I have my sanity back! I started this journey with waking up 4x a night and dealing with 30-40 min crap naps all day with my baby. I am now down to 1x a night and he's napping 3 solid naps a day that last anywhere from 1-3 hours depending. I don't feel like I'm living at a sleep torture camp anymore! I can't thank you enough for your support on those days I wanted to give up, for answering my 1000 questions and for giving me back some much-needed sleep. My husband and I hired Erin after our 10 month old regressed to waking every 45 minutes. We were spending hours getting her to sleep - then constantly alternating turns in her room after she woke. We were exhausted and had no time with each other at all. We needed a program that was effective yet gentle enough to allow us to comfort her through the process. It wasn't easy..... But it worked! After three nights, our girl was sleeping 12 HOURS at night!!! !Naps are longer as well! We really appreciated Erin's encouragement through it, and her availability for any questions we might have had. My husband and I watched a movie together for the first time in 6 months!!!!! Our whole family is more rested and much happier! Initially the cost was our only hesitation. I knew this was a good thing for my daughter and I realized how important getting proper sleep was but little did I know the impact it would have on our whole family. It was well worth it. Since working with Erin, my daughter goes down effortlessly twice a day for naps and is sleeping through the night (11-12 hours). She has been sleeping through the night since night 6 of the sleep plan. Along with that, she is no longer takes a soother and is completely off night feeding! I can't express how amazing of a feeling it is. She is overall an even happier baby than she was at the start of this! The real test was when her Grandma took her overnight and had the same results, no struggle to go down for naps and bedtime was a breeze, and of course no night waking. I have to say for anyone considering hiring Erin, yes, sure there is a cost but you are investing in something a new mother and mothers in general are lacking...precious sleep! This seriously has changed our lives. People need to know that Erin won't leave you hanging. There was always a solution to the wrenches my daughter threw at me throughout the sleep training plan. Erin is friendly, and easy to talk too. I recall a couple times I wanted to give up and didn't think I was cut out for doing the training with my daughter but Erin talked me through it and gave me solutions to fix the nap issues we had encountered. Not only have I seen a difference in my daughter with her sleeping but I have felt the impact too. Prior to the sleep training plan, I was unable to get the sleep I desperately needed as well, I would be waking up anywhere from 2-3x a night whether it was for a night feeding, cause her soother was lost or I would just find myself lying in bed anticipating her waking up so in turn it kept myself up longer than necessary. I can honestly say after doing the sleep training plan that Erin created, it has made me a better mother. I feel better in the morning, no longer lacking sleep, I'm happier and well rested which in turns makes me care for my daughter better. This is huge for me. 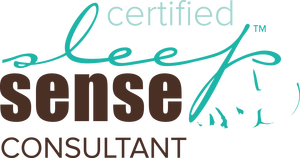 "Before hiring a sleep consultant my hesitations were putting time and money into it and it not working or not agreeing with the consultant’s approach. But we now have the ability to put our 10-month-old daughter into the crib awake and she self-soothes herself to sleep. She is sleeping for longer naps and 10-13 hrs at nights without waking. Plus, she no longer needs a bottle to fall asleep. Our plan was clear and easy to follow. Erin provided support through the process of sleep training and was easy to talk to. We enjoyed documenting our baby's sleep so we can see the progress. "We thought that we were doing everything right to give our son the best chance at sleeping well. Erin's' expertise and knowledge proved to us that in certain situations, a specialist is required to get the results that are necessary to have and maintain a content, happy and rested household. We have only the odd night waking compared to multiple times a night. We are all accumulating sleep and keeping up on it as opposed to living in our previous chronic sleep deprived states. Now that we have the knowledge of what works with our son within our expectations as a household, we are all much better rested, happier and much more able to enjoy the time together as a family. That is priceless. Sleep is priceless and is proving to be the backbone in our family’s ability to be content! Even our friends and family are noticing the difference. I would tell anyone who will listen that this was well worth the time, effort and money. Erin is a real person. She is genuine and kind, understanding and funny. We handed our sleep struggles over to her and immediately felt a sense of relief. We were confident that she would walk us gently through this transition period with ease and she did!! If anything slips, we're now confident that we have the tools in place to move forward instead of falling back into the habits that ended up causing us the struggle to begin with. She worked with us in our unique situations to find the best route to achieving our sleep goals. There isn't a black and white answer and she will work hard to find what will work for your child. ​I am grateful to have had Erin's help." ​Before hiring a sleep consultant, I was hesitant about the Cost and leaving my son to cry. But I haven’t had to picked him up through the night since we started working with Erin. He has had nights where he’s cried but it only happens once in a while. Erin is so down to earth! She made me feel very comfortable in talking about my concerns. I now know it’s OK to let him cry a little! And I feel like a better mother because I am now getting sleep. Erin truly understands what we are going through. Husbands try to be as supportive as they can but don’t truly understand. And you get so many people saying "oh it's normal they aren’t sleeping my children didn’t sleep through the night until they were two". And I learned it’s not normal! And giving your baby the tools to learn to sleep well is so important for babies and moms! I really can’t thank you enough for what you have done for our family! My little one can sleep through the night! And her naps are longer and more predictable. She went from waking every other hour in the night needing to be rocked back to sleep to sleeping 12 hours straight on her own. Her naps also improved and went from 15-30 minutes to over an hour! I appreciated the support and the information Erin provided. She was very easy to talk to and had no judgement whatsoever. There were some rough days but with Erin’s help we got through them and are so glad we stuck it out! Both baby and parents are now getting their much-needed sleep! This process has provided both my husband and I the confidence to move forward with our daughter’s sleep schedule. We know that there will be bumps along the way, but we now have the tools to help us through those times. Erin is very down to earth and takes her time with you. It really made us feel important and listened to. She was very informative and patient with our many questions! "Erin has exceeded all my expectations about sleep training. I am a physician and I knew a lot about sleep training already and was still not able to successfully succeed on my own. Erin helped me and my family in a encouraging and simple way to achieve that. She is professional, kind and very approachable. She makes you feel valued. My little one is 5 months and sleeping through the night. He is happier and I am too. I would highly recommend her to my friends and my patients." "Our 6-month-old baby was waking every 2-3 hours throughout the night and required comforting or a feeding to go back to sleep. During the day he would only nap if I held him. This became very tiring and nothing we tried seemed to be making things better. After much thought, we decided to invest in a sleep consultant. As of night 3 of the plan our baby slept through the night, 11 hours, without waking once. We were shocked and assumed this was a fluke until the next night and then the next. He has continued to sleep 10-12 hours straight through the night since night 3 and everyone is feeling much better rested. Naps were a little trickier but Erin stuck with us and we tried a few different things and our baby is officially going down in the crib for three naps every day which last anywhere from 30 min to 3 hours. We feel confident with the tools we have been given to handle any changes that occur as our baby grows and changes. Our only complaint is that we didn't invest in this sooner. In 3 short weeks, our sleep lives have changed completely! Thank you again for all your hard work and for putting your trust in me along this part of Felix's sleep journey!" "I forgot what sleeping through the night was like, until I starting working with Erin!!! At first i was a little skeptical when she mentioned that she would be able to have my little girl taking 3 naps a day and sleeping 10-12 hours a night; after all she barely napped and would sleep for 3-4 hours at a time during the night. I could not believe the results. Erin walked me through the process, and mentioned that it was going to be tough because there were a lot of "bad" habits that needed to be changed. "I sleep trained my oldest (who is now 3.5) when he was 4 months old and hit the 4-month sleep regression. I made certain to sleep train, my second child, when he was 4 months old. His nighttime sleep came together just fine but we struggled with his naps for about 3 months until I reached out to Erin. After speaking to her for 15 minutes she knew exactly the problem, within 2 days he had extended his naps from 45 minutes to 1.5-2 hours. Today he is 9 months old and I sometimes have to wake him up from naps to preserve his bedtime. ​I am very grateful for Erin!" “When my little one was newborn, I said I would never do sleep training with her because I never wanted to not respond when she cried out to me. Our daughter reached a point where her daytime sleep did not exist because she was so distracted by her surroundings - she was miserable and it made all of us miserable! We knew that the habits we had formed around her sleep were no longer sustainable and that we needed to make a change! 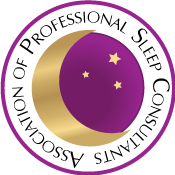 We decided to hire a sleep consultant because it gave us comfort to have a guideline and parameters to follow along with and someone to check in with along the sleep training journey. 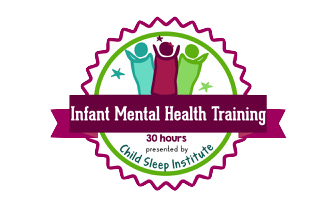 We were overwhelmed by all the information and different methods of sleep training out there and knowing that all babies are different, we did not want to wing it with a cookie cutter method. Erin is wonderful to work with! We felt comfortable immediately! She is understanding and not judgemental about the sleep habits that we had in place and works with you at your comfort level to get everyone sleeping effectively! She keeps communication open throughout the process and is available for questions along the way! 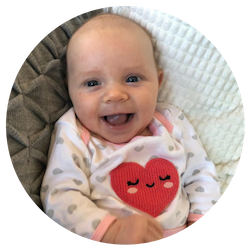 As soon as we started sleep training with Erin, she took to it well, and there much less tears involved than we had prepared ourselves for! We have a very stubborn little girl and it became very clear, very quickly that she was ready for sleep training and we are so happy with the results! We had some travel booked prior to starting and Erin gave us some great travel tips and helped us work through the days away to help our daughter get through these days smoothly. She did great! We started out with a 7-month-old who was sleeping well at night but with multiple night waking’s, but never napped independently - naps only took place while nursing or in her car seat. 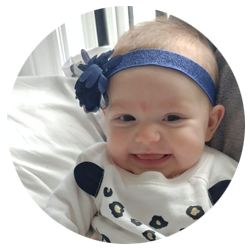 Within days she was sleeping completely through the night and napping in her crib during the day - this gave us 2 full weeks to focus on improving her daytime sleep and at the end of the 3 weeks she is effectively napping twice a day (up to 4 hours a day)! Our daughter is sleeping completely independently for 14-16 hours a day! She is happier when she is awake and goes to sleep with no tears at bedtime and at nap time! We now have a happy and well-rested baby girl (and a happy well-rested mama!)!! "We were at our end with our little ones’ sleep issues and having 2 older kiddos meant that there was no way for me to sleep during the day to catch up... so we had to do something about our then 4-month-old sleep habits. It took some time but now we have a baby who happily sleeps thru the night and allows our whole family to sleep better too :)"
“When my son was born it became apparent fairly quickly that he was not one to fall asleep on his own. He wouldn't nurse to sleep or just be put down to sleep at all. I would sometimes be able to rock him to sleep with a pacifier but it was taking hours. The worst was putting him down to sleep at night and it would take hours for me to get him to sleep. Also for the middle of the night wakings it was taking hours to get him back down to sleep even though it only took him 15 minutes to eat. After seeing some recommendations on facebook I contacted Erin and am so pleased I did. She put together an extensive sleep training plan for my guy. I started right away and saw results within a day. Erin was available for questions as needed and our check in phone calls. I also found the sleep log very useful to track how much sleep Griffin was actually getting. "When our baby was only a couple of weeks old we were struggling as parents to sleep. Our daughter would sleep during the day and stay up all night and as brand new parents, we were told this is normal. In today’s day and age, there is no shortage of research, opinions, blogs, websites and friends that all add in their tidbits and anecdotes in an attempt to help. It became difficult to wade through all the information on any given subject and we decided as a couple that sleep was priority number one. We felt that if we could just get that one aspect of everything under our belts that we could handle everything else. It made sense to ask for help and it made sense to get that help from someone who knew what they were doing. Erin and I grew up together and I had seen her posts about sleep consulting on Facebook and I decided to reach out. We were concerned it was too early to start the training, but Erin assured us that it was never too early to start developing the right sleep habits. She worked closely with my wife, Sheyanne and reviewed the journals we were keeping and coached us along. It was so great to have a resource like this – another mother who was able to relate to the problems we were having and connect with my wife in order to get the sleep routine set. The guidelines were easy to understand (sometimes more difficult to implement) and achieved the goal of teaching us (the parents) the correct habits and routine. Our daughter is now 10 weeks old and sleeps for 6-10 hours at a time at bedtime. Sometimes as parents it is difficult to know if you are doing the right thing, but we know that we got this one right. Thank you To the Moon and Back for your help and allowing us to get the most precious commodity available to parents, our own sleep!" 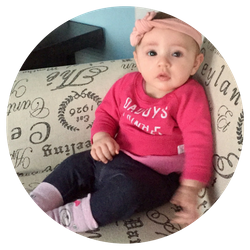 "Before we started Erin’s sleep plan for our almost six-month-old daughter, it was almost impossible to put Sarah down for a nap. She had absolutely no skills in settling herself to sleep and, if we let her, she would wail for an hour before passing out. As a result, we were resigned to holding Sarah or otherwise trying to calm her down before every nap, or taking her for a car or stroller ride to make sure she got some sleep. Sometimes it could take up to an hour or longer to settle her. Once asleep, her naps were never longer than 20-30 minutes. We had a chronic cat-napper on our hands! Every trick that worked well for her older sister, who is an amazing sleeper, did not work for Sarah. This caused stress and exhaustion in our household. After seeing Erin highly recommended on a Facebook moms’ group, I knew we needed her help. I was so skeptical with her sleep plan at first thinking that in no way was it going to work—she just doesn’t know our daughter—but we stuck to it as best as we could and it worked far better than I could ever have hoped. In less than two weeks, it became so easy to put Sarah down for a nap (just one book and a short lullaby—no fussing!) and she never naps for less than an hour. She will gladly nap for 1.5-2.5 hours twice or more a day. Her sleep deprivation is going away and she is a much happier baby. The big bonus for us is that Sarah now also sleeps for 12 hours straight during the night, when before we would wake up every 2-4 hours to put her back to sleep. We didn’t think it was a problem—it was her lack of napping that concerned us—so this is such a nice surprise and we feel so lucky that we have our nights back for our own sleep! I don’t have enough good things to say about Erin. She was professional and friendly, thorough and knowledgeable, easy to contact, and prompt with all of her phone calls. She did the impossible for Sarah and our family. Thank you, Erin!" I can't believe just how much you have helped my family and in so many ways. We never thought it was possible, but we now have our bed back! Our kids are sleeping through the night AND in their own beds - life changing! ... My son is a completely different boy now that he is well rested throughout the night and my daughter is finally taking her naps that she has so desperately needed. Your guidance, tips and tricks were the key to this whole process! - We can't thank you enough!!! Erin's intervention and support have been life changing for my family. She completed a sleep plan for both my 4 year-old and my 2 year-old. Our children now happily go to sleep on their own without a parent right beside them, and routinely sleep through the night. My husband and I have our evenings back and my children finally have the rest that they need. The overall stress in our home has gone down markedly now that everyone is finally getting adequate rest. Erin is truly supportive and insightful. She was adept at dealing with different sleep issues presented by each of my sons and her personalized suggestions worked wonderfully. I am most happy that this was not a cry-it-out approach, so our children have had loving support in becoming confident and competent sleepers. I highly recommend this program for problem sleepers. My only regret is not doing this sooner! We would highly recommend Erin and her consulting to any parent who is in need of a good night's sleep! "My hesitation for working with a sleep consultant was just that I wouldn't learn anything new or different from a consultant versus just reading up on it. But we were able to get rid of all sleep props with Erin’s help. She was very nice and thorough. 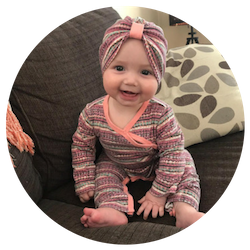 I really enjoyed the informative and thoughtful emails:)"
"I seriously doubted that this would work; I was absolutely convinced Mackenzie was just one of those babies who didn't sleep. I hesitated to spend the money, but honestly, it was so worth it! When you told me at the start she would be sleeping 12 hours straight within a few weeks - I laughed. Hard. You clearly didn't "know" my baby - haha! Low and behold, not only do I have a baby that sleeps, she's a champion sleeper!! I'm just glad I didn't make a bet with you - because I'd have lost! She now goes to sleep on her own, without complaining, and sleeps all night! She also has two awesome naps a day. When I doubted myself, you gave me the confidence that I could do this! Since completing your program I have more time to spend with my older daughter, with my husband and on myself! Plus, I get to sleep longer than 1 hour and 37 minute stretches at night! Which sort of rocks! I would recommend Erin from To The Moon and Back Sleep Consulting to anyone that thinks "babies just don't sleep"! They can! And it's amazing!!" "We were at the end of our rope with our almost 6-month-old daughter. I had fallen into the trap of either nursing or rocking her to sleep, but really no one in the house was actually getting any sleep. She was napping for no more than 30 mins each time and waking every 2 hours throughout the night. We were all zombies, so late one night I did a desperate search for a sleep consultant. Erin was recommended by other local moms on a Facebook group, so with our fingers crossed, we took the plunge. It was scary at first. I didn't want anyone else to know. I felt embarrassed that I couldn't figure out how to get my own child to sleep and thought I would be judged negatively by anyone who found out. But after a very short time with Erin, I realized how crazy I was being and truthfully could not care less what anyone else thought of us because the results have been incredible! Our daughter now has three solid naps a day and sleeps through the night! I'm still in shock by the huge difference this has made in our lives. Not only is our daughter happier and more well rested, but we are too! My only other hesitation was the cost. Yes, it's a hefty sum of money, but I only regret not calling Erin sooner. She does not simply give you a cookie cutter plan, she fully customized and adapted our plan during our time together. Erin was very prompt with answering all of our questions and was adamant on our success. Yes, there were some very hard days, yes there was some crying (from both of us! ), but with a little pep talk from Erin and some encouragement we got through it. I would fully recommend Erin for anyone who is having difficulties with their little ones sleeping!" “In the beginning, I was worried that either I didn't need help and could/should be able to do it on my own and that if I couldn't get my child sleeping, nobody could. But Oliver now sleeps through the night and we have a solid sleeping schedule. We even survived our first sickness with the new routine! He still only has mostly 2 forty minute naps per day but luckily, we have the plan and skills to be able to make this work for Oliver and our family. Although we are still working on the naps I didn't realize what a difference the consolidated night sleep would have on Oliver's daytime temperament. 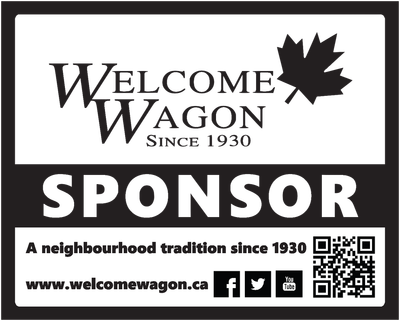 We want to share your testimonial!